There are 3 posts filed in about me (this is page 1 of 1). My previous post, from the beginning of last year, announced me joining Snagajob as the VP of Design. This post announces my departure, as Snag (as the rebranded company is now known, more on that in a moment) has closed their Oakland office to apply sharper focus on their teams in Richmond, VA, Washington, D.C., and Charleston, SC. There are quite a few stories to tell, particularly around the rebrand, which launched to the public last week. Those will be coming soon! 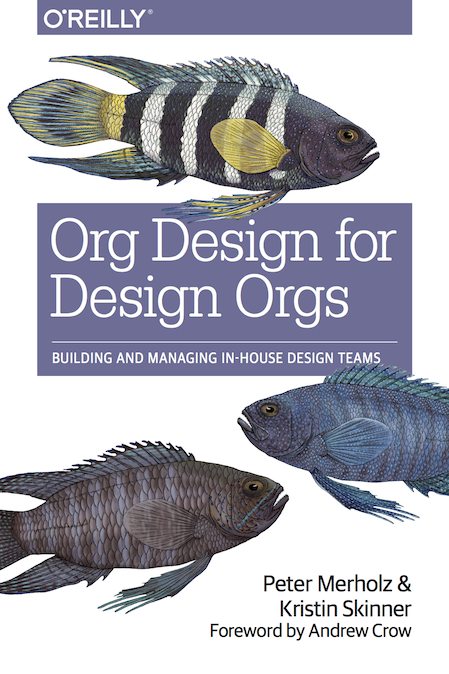 After having written Org Design for Design Orgs, many folks asked if I could consult, advise, or teach them about design organization development, design leadership, DesignOps (as it’s now called), and other related matters. With my full-time job, I couldn’t, but now I can, and would love to help design teams be the best and most effective that they can be. (Email me at peterme AT this site’s domain name). I’m also in the market for a great design and product management executive role. One thing in particular that was gratifying was being able to use the book as playbook for my time at Snag, and seeing how well it worked. I’d love to apply it to larger scale organizations (over 50, over 100, even over 200!). My time at Snag was too brief, but will always be special to me. Not only did I get to lead a company-wide rebrand (with a new name and everything), I got to work with talented people in an environment with less drama than any other I’ve encountered. I’m proud of what we achieved, and I look forward to cheering them on from the sidelines. I have given notice, and my last day at Groupon is April 18. For the past year and a half, I’ve been leading the Design Union (what we call the global design team). When people ask me what I’m most proud of, it’s not the obvious things (like a sitewide redesign that immediately performed better than its predecessor, and was actually aesthetically pleasing), or our continued success with a leading commerce mobile app. As the title of this post suggests, I don’t know what’s next. And that’s a little scary — I haven’t not known what my next job is since before I joined Epinions in 1999. I’m sure it will be fine, and I’m looking forward to some opportunity for reflection and writing, for connection with people I haven’t seen or talked to in too long, and ultimately, for figuring out what’s next and best for me. (Oh, and maybe spiffing up this blog a bit.) If you have any ideas, don’t hesitate to reach out!